At-home teeth brushing and professional dental cleaning are very important to maintaining your pet’s dental health throughout their life. Dental disease is the most common diagnosis among cats and dogs of all life stages. 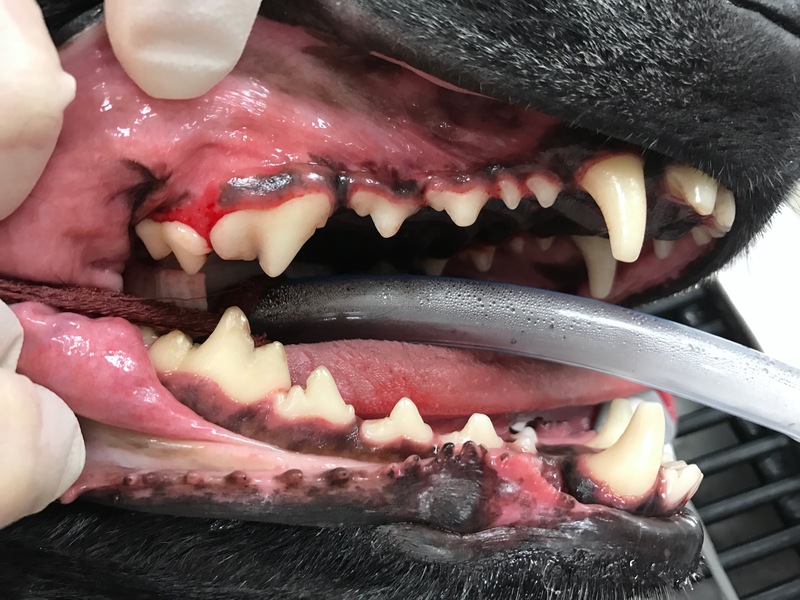 The most common clinical signs include tartar and plaque build-up, red and swollen gums, loose teeth, bad breath, decreased appetite, pawing at his/her face, and overall lethargy or depression. Dental disease that goes untreated can cause significant bacterial infection, gum recession, and bone deterioration that can ultimately result in severe periodontal disease, decay, and tooth loss. Severe dental disease can also lead to the spread of bacteria to other vital organs (liver, kidneys, and heart). At Amici Pet Hospital, we recommend having your pet’s teeth evaluated and examined at least once per year. 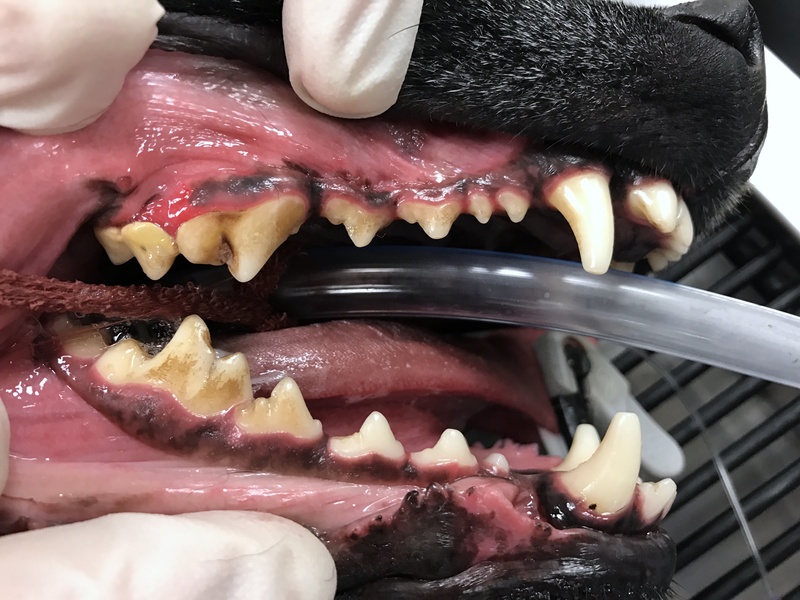 We will also recommend to have pre-anesthetic blood work performed prior to the dental in order for our doctors to evaluate your pet’s liver/kidney function and make sure they can tolerate general anesthesia. Our dental machines offer an ultrasonic scaler to help remove tartar and plaque on the teeth and under the gum line. Dental polish is then applied to all teeth to help protect them from further disease. We will always try to preserve teeth to the best of our ability; however, in certain circumstances, surgically removing teeth with specialized equipment may be necessary. These extractions are performed when it is in the best interest of the patient and with the consent of the owner. At times, infections and causes of oral discomfort are not visible to the naked eye. Much of your pet's teeth remain hidden below the gum line, masking the extent of dental disease. Dental x-rays allow for full visualization of the oral cavity, while keeping the radiation exposure low and image development instant. Digitalizing the x-rays allows for enhancement and focus on specific details of all teeth. Benefits include capturing isolated images of compromised teeth and jaw, determining the extent of inflammation/infection(s), and assurance that the full root was removed during extraction. X-rays will be taken while your pet is under anesthesia to minimize motion and stress to maximize x-ray images for accurate diagnosis.